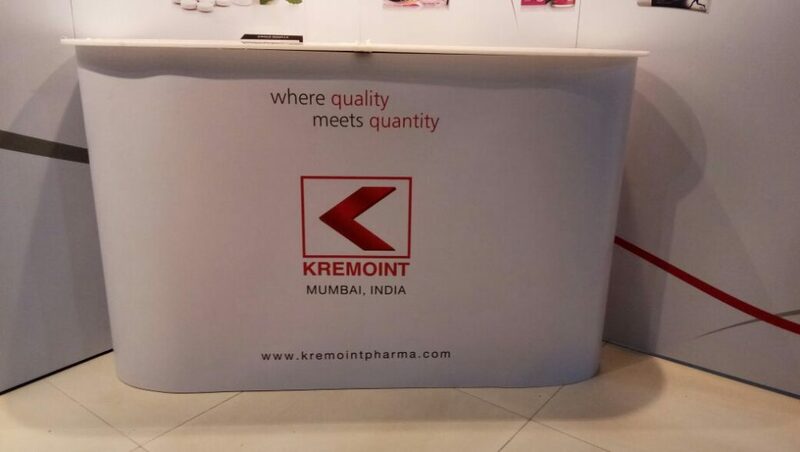 A Customized Portable Exhibition Solution Provided to Kremoint Pharma for their Participation at CPHI Worldwide – Frankfurt. 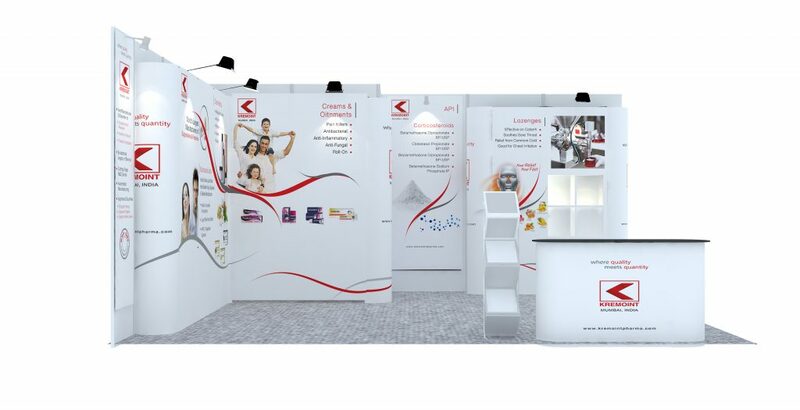 The Entire Setup was Created Considering Overall Floor Layout of their Stand at CPHI Worldwide, Offering Backdrops Structures, Reception Counter etc, Packed in a Carry Case for Easy Transportation. 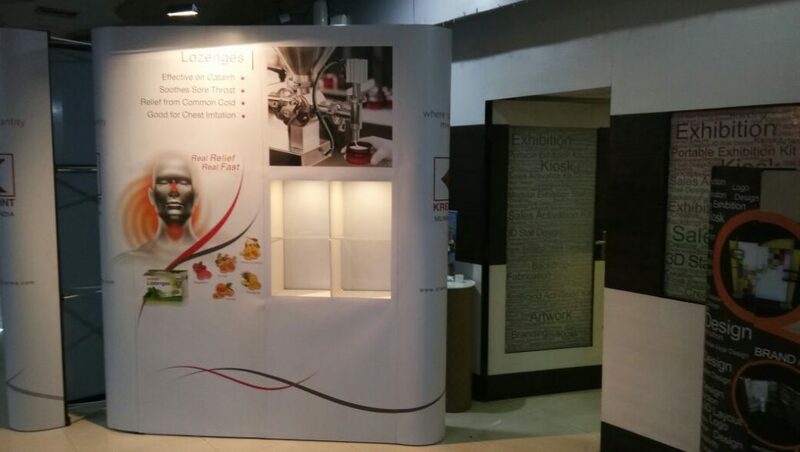 Our Team as Strived to Ensure the Entire Setup was Designed & Executed within Short Timeframe, as to Ensure Delivery of the Products as Per CPHI Worldwide Expo Schedule. 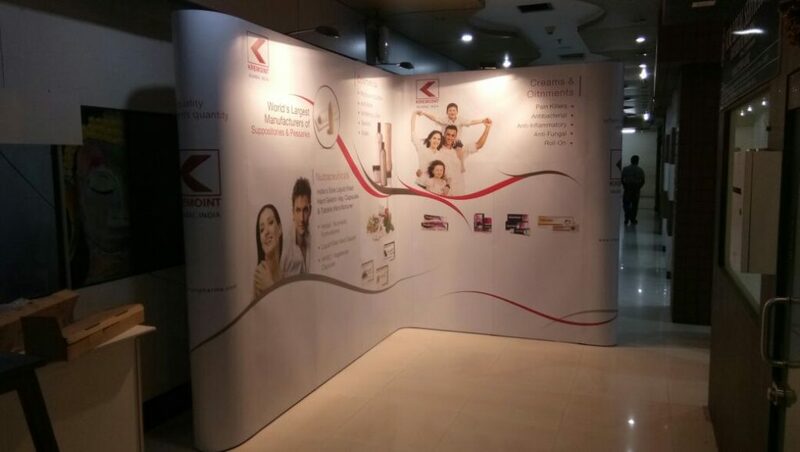 Plus Our Custom Solution Enabled them to Project their Brand in a Unique Banner for their Booked Shell Scheme.